IT'S time to get Crocked Up as the bid to put Mick Dundee back on the silver screen becomes an unstopp­able Judder-naut with Hollywood's king of comedy volunteering to helm the project himself. Judd Apatow, the Mel Brooks of his generation, has joined a growing list of entertainment, business and political heavyweights here and in the US who have signed the #BringBackDundee petition or publicly supported the bid. The push follows Monday's ­Superbowl ad which appeared as a trailer for an as-yet fictitious ­remake of the much-loved film. Star of the ad Chris Hemsworth said he was open to a Dundee film and Magda Szubanski has said she was keen for a role in it. Yesterday Qantas CEO Alan Joyce added his digital signature as the airline's official account tweeted the petition. And Aussie golfing superstar Greg Norman, posted a pic of himself dressed as Mick Dundee to ­social media with the simple plea: "Let's bring Australia to the big screen, AGAIN!" Swimsuit model Jess Gomes also came out swinging yesterday telling The Daily Telegraph: "I love Crocodile Dundee, that would be so cool, I would love to see it, that would be amazing." 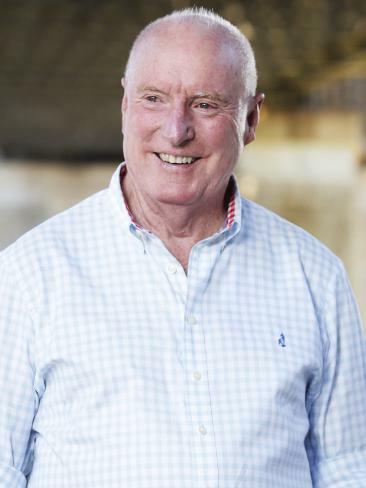 Home and Away veteran Ray Meagher said "go for it" while Ruby Rose, who appeared in the Dundee ad, also retweeted our petition, writing "Amazing". Paul Hogan was reluctant about the revival of the character yesterday, telling Channel 9's Richard Wilkins the third Crocodile Dundee movie was "flogging a dead horse" and he wouldn't push for another. But Apatow could be the spark to reignite Hogan's creative fire. The director of hit comedies Trainwreck with Amy Schumer, The 40-Year-Old Virgin with Steve Carrell and Knocked Up with Seth Rogen tweeted offering his services yesterday. "It can still happen. Dundee came to America. Now he has a kid he didn't know about. What day do I start shooting?" Apatow wrote. 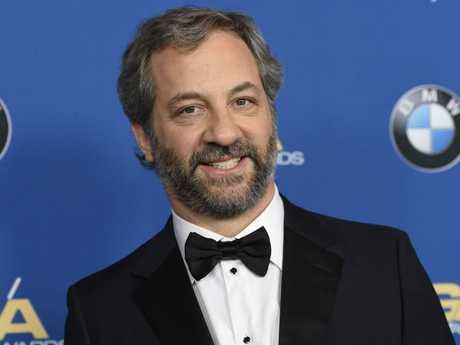 Besides his work as a director, Apatow has produced the likes of the Anchorman films and last year's Oscar-nominated hit The Big Sick, as well as TV shows such as Girls. He was responding to a tweet from actor Ike Barinholtz, who ­appeared with the ad's American star Danny McBride in Eastbound & Down. Barinholtz said he was "legitimately bummed there is not a new Crocodile Dundee movie". He joined the likes of Donald Trump Jr, who said on Monday, "Kenny Powers as Crocodile Dundee would be the best thing to come out of Hollywood in decades". 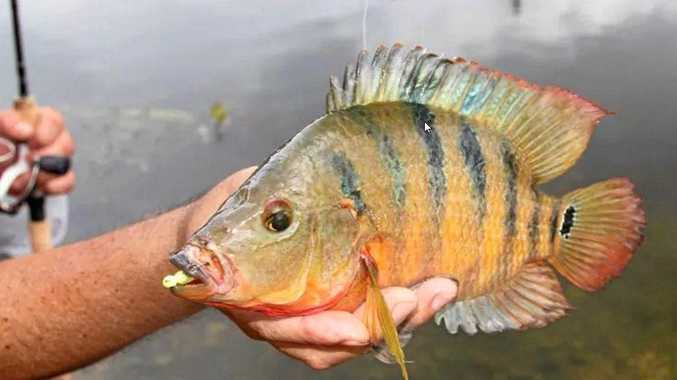 Australia's US ambassador Joe Hockey has tweeted the petition, Federal Opposition leader Bill Shorten and Queensland premier Annastacia Palaszczuk have also backed the bid. 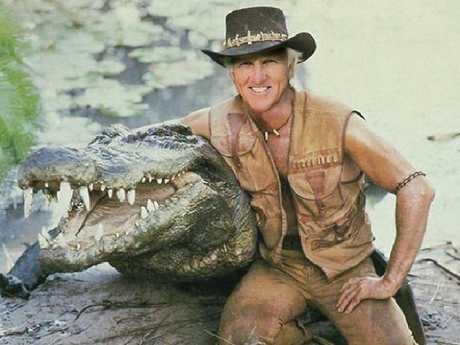 What’s your Crocodile Dundee IQ?